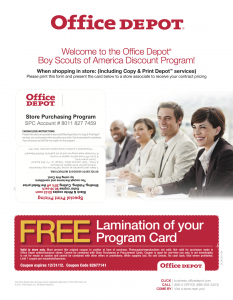 The Office Depot is providing BSA members with a discount card for in-store shopping on office supplies (including Copy & Print Depot™ services, but excluding electronics and already discounted items). Members get a 10% discount off of store retail pricing. Please note that if an Office Depot store has a better discounted price, you can use it or the BSA discount but not both. If you are planning on making a purchase, please make sure you have your BSA membership card with you. Click here to download your discount card. The following events are offering scout discounts. Click on the links for detail. For the first time in DC Comics history, Batman – the world’s most popular DC Super Hero – is now an all new, live-action arena adventure, which is taking the world by storm. BATMAN LIVE – World Arena Tour is a 15 million dollar stage production with an engrossing and original story featuring a cast of 42 actors and circus trained acrobats, a 3D Gotham landscape, a symphonic score recorded by a 92-piece symphony orchestra, custom-built and state-of-the-art stage, a 100-foot bat-shaped LED video wall, big fight sequences, illusions, pyrotechnics and the impressive Batmobile, designed especially for the show by legendary racing car designer Professor Gordan Murray. Click HERE to see a SNEAK PREVIEW! Scouts receive a complimentary Scout Patch! The deadline to place your order is Monday, September 17 at 5pm but buy your tickets now to receive the best available seats. All shows are anticipated to sellout! 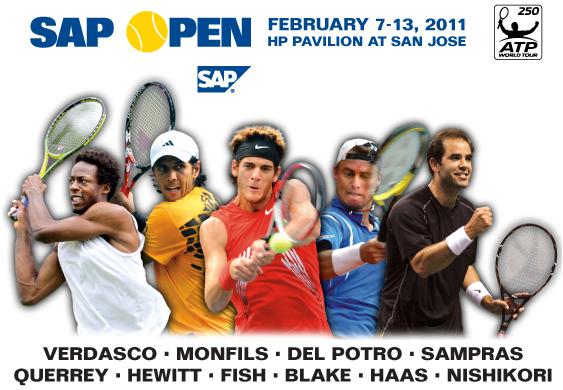 The 2011 SAP Open featuring four of the world's top 20 players! Including defending SAP Open champion FERNANDO VERDASCO, 2009 US Open champion JUAN MARTIN DEL POTRO, French #1 GAEL MONFILS, world's former #2 German TOMMY HAAS, two-time Grand Slam Winner Aussie LLEYTON HEWITT, 2009 US Open Series winner SAM QUERREY, Bay Area fan favorite MARDY FISH, former top-ten American JAMES BLAKE, Japanese star KEI NISHIKORI and many more. Also back by popular demand, a very special Opening Night Exhibition Match (Monday, February 7 - 7:00pm) featuring two-time SAP Open singles champion, former world's #1 and possibly the greatest tennis player of all-time... PETE SAMPRAS. Scouts, Scout Leaders, their families and friends, can save up to $15 per ticket at the SAP Open! Each ticket purchased includes a commemorative patch! Click here for the flyer with pricing information. Oakland Arena and Coliseum has recently released discount information on a few upcoming performances. Click on the links for ordering deadlines and instructions. You're one click away from the best Scout-gear deals you can find! With closeout savings in every category, you'll find hundreds of incredible buys when you shop our online Closeout Catalog. 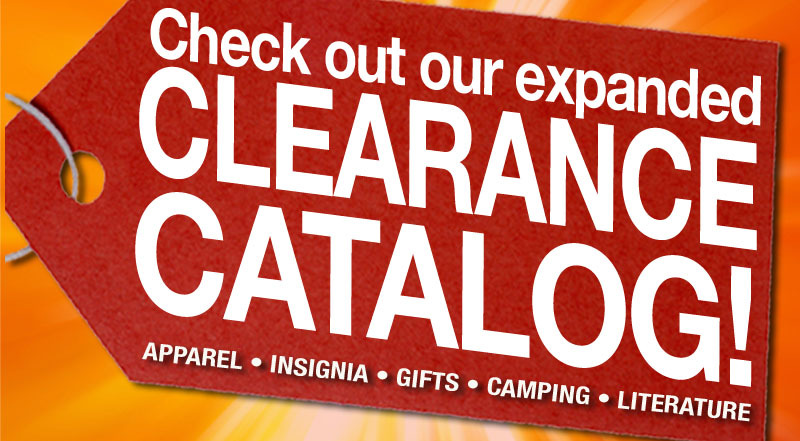 Discover up to 65% savings on clearance and discontinued items, while supplies last! These products are sure to go fast but we're always adding new ones. 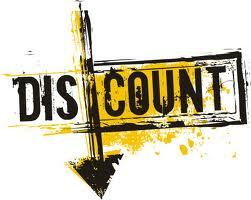 Make it a habit to shop the Closeout Catalog whenever you visit ScoutStuff... check in regularly to check out the deep discounts and unbeatable savings! And be sure to look for closeout items in our stores as well. Supplies are limited and selection varies online and at national Scout Shops. All prices are permanent markdowns. Once items sell out they're gone, so shop today. Shop online or go here to find the store nearest you.